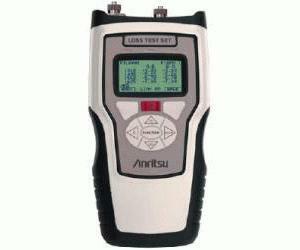 Fast, accurate and easy-to-use, the Anritsu CMA50 line of Power Meters is designed for attenuation and throughput measurements of fiber optic links. They are offered with common calibration wavelength and connector options to meet any testing requirement from FTTx networks to long haul telephony links to multimode LAN, and CATV. All CMA50 Power Meters feature large mass storage capacity, and pass or fail indicators for in field compliance. Plus our exclusive autowavelength switching mode eliminates user errors by synchronizing the CMA50 Series Power Meters with CMA50 Light Source. The light-weight, rugged design, assures that they are built for the most demanding cable installation and maintenance environments and will provide years of valuable service.